Dude, Where's My Earthquake Warning System? One year ago, in the pre-dawn hours of a Sunday morning, thousands of people were jounced out of their beds when a magnitude-6 earthquake struck the Napa Valley. 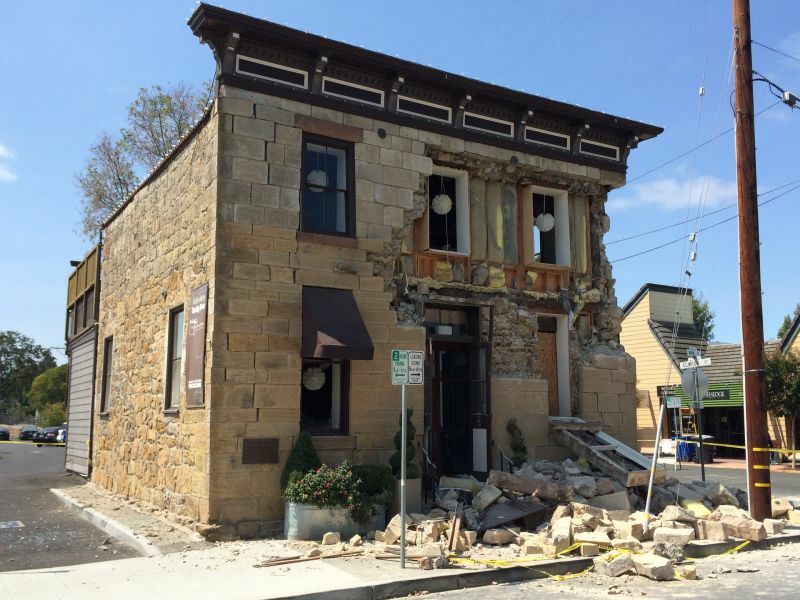 The shaking claimed at least one life, injured more than 200, and brought down whole sections of buildings in Napa and Vallejo. For years Californians have been hoping for some kind of warning system that would provide even a few seconds to prepare. Japan has it. Mexico has it. But don't expect to see it in California for a while. "It’s a big project," says Jennifer Strauss. She and her coleagues at UC Berkeley's seismology lab working with several universities, and state and federal agencies on ShakeAlert, the prototype system for California’s first statewide warning system for earthquakes. "That’s the goal of the ShakeAlert project for all of us involved," says Strauss. "We want it to be just a thing that everybody has in their daily life as part of preparedness and safety. But two years after state lawmakers passed a law authorizing the project, we are far from that goal. "The technology is getting here," she says, "but it’s figuring out how to move beyond the academic exercise of, ‘Is this scientifically possible?’ and moving into the realm of, how do you get an alert to people?" That’s proving to be the bigger challenge. The “Amber alert” model, where it instantly goes to everybody’s cell phone turns out to be more of a technical challenge with earthquakes. A nearer-term goal is getting an operational version into hospitals and businesses where even a few seconds notice could save lives, not to mention millions of dollars. Building out the system is estimated to cost at least $80 million. That seems like a trivial sum given that a magnitude-6 quake in Napa caused five times that in damage. But Senator Alex Padilla’s bill from 2013 didn’t provide any government funding. Some federal assistance has trickled in, and state officials are looking for private partners to help fund the system. For now, ShakeAlert remains in its beta phase, being tested by selected institutions. A program installed on personal computers includes a visual and audio alert ("Earthquake! Earthquake! "), announces how intense the shaking is likely to be, and provides a countdown in seconds. When the earth moved in the Napa Valley, testers in Berkeley got about ten seconds of warning before the first rumbles arrived. The farther from the epicenter, the more notice it provides. But it's not perfect. As it stands right now, Strauss says ShakeAlert is about 90 percent accurate — that is about one in ten alerts may be a false alarm. "You don’t want an alert going out and have no shaking, as much as you don’t want shaking with no alert," warns Timothy Strack, who chairs the state’s Seismic Safety Commission, and is on the steering committee for the warning system. He says even 90 percent reliability probably won’t pass muster with policymakers who will need to sign off on the system. 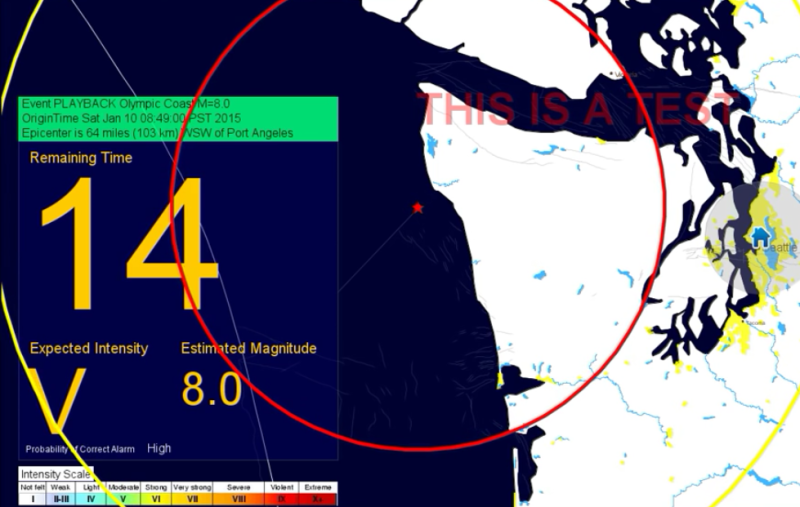 "We can’t have that with an early warning system for earthquake because we need the system to have credibility so if it alerts, it’s coming," he says. Eliminating false alarms is just one of multiple technical challenges yet to be overcome. Strauss says the number of sensors around the state, now numbering about 400, needs to more than double in order to provide a reliable system. "In California the geography, compounded with where we like to put all our people, makes this very tricky," says Strauss. "You need very fast telemetry, you need very fast processing speed, you need very fast communications in order to warn people who are sitting directly on top of a fault." Every Californian knows it’s coming, the Big One or “a” big one. They just don’t know when. Nor does anyone seem to know when a workable statewide warning system will be ready for prime time. "I wish I could guess," says Strack. "We need to take that next step to engaging the public and local government, water districts, to see what they really feel is best for an early warning system." Strack says that day when all Californians can have it on their cell phones: we’re no closer to that than when the Napa quake struck, one year ago.